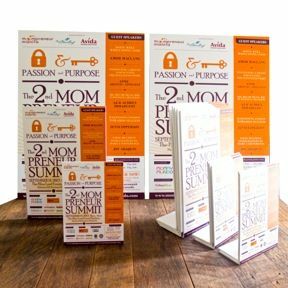 Being a mompreneur-run business as well, The Candy Shop has expressed support for the upcoming 2nd Mompreneur Summit and has announced that it will give each registered attendee at P250 gift coupon to the Candy Shop Prints! Thank you to Pat Leano of The Candy Shop! 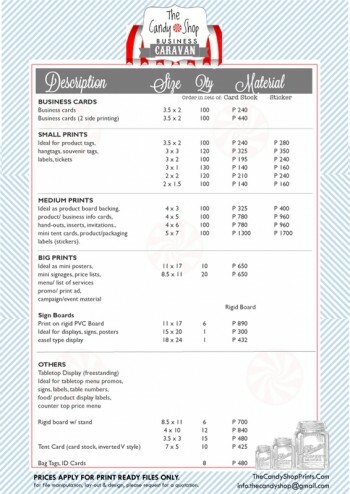 Do check out their website for their cost-efficient prices for all your printing needs! Hop on our business caravan! You’ll definitely find something you need to keep your business movin’ and rollin’! How to register please? thanks!